With the transfer window now closed in South Korea, we can look back at the biggest transfer in the K League 1 over the summer. This was the talented midfielder Lee Jae-sung moving to Holstein Kiel in the German second tier from K League 1 top side Jeonbuk Motors. Lee Jae-sung is an attacking midfielder and can play across the midfield. The 25-year-old has been a major part of Jeonbuk Motors recent success having played 137 games scoring a total of 26 goals. Along with this, the player won three K league titles with his club before earning the move to Germany. His success in the K League will be something that definitely caught the eye of clubs in Europe. It was not however just his play in the middle of the park, the player also has a habit of scoring a few too. This was seen as he scored four goals in the K League this season before his move to Germany. While readers of this in Germany would be interested to know what he will bring to the Bundesliga 2. The answer to them would be quite a lot. The reason for that is the player as fast feet, an eye for goal and the ability to track back and win the ball when needed. 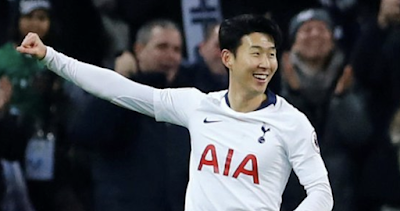 Away from impressing for his club the Korean as also picked up a total of 38 caps for his country. This includes playing in every minute of his countries recent World Cup campaign. To show his versatility even during the World Cup he played across the midfield. Then first off for the midfielder he will need to prove he can do it in the German second tier. Also, don't be fooled by this not being the top league in Germany the standard of football in this league is very high and he will face a tough time of it. The league includes two of the bigger names in German football with Hamburger SV and Köln both in the league having been relegated last season. This will be an important season for Lee Jae-sung when the league starts on Friday. His clubs first match of the season will be on Friday against Hamburger SV in Hamburg thrown him right in at the deep end. If he will play or not, of course, is unclear yet but the player has been playing regularly so will be match fit.